The Spy Who Dumped Me home entertainment release includes never-before-seen deleted scenes, outtakes, and four featurettes giving insight into the making of this huge action comedy. Experience four times the resolution of full HD with the 4K Ultra HD Combo Pack, which includes Dolby Vision HDR, bringing entertainment to life through ultra-vivid picture quality. When compared to a standard picture, Dolby Vision can deliver spectacular colors never before seen on a screen, highlights that are up to 40 times brighter, and blacks that are 10 times darker. The release also feature Dolby Atmos audio mixed specifically for the home, to place and move audio anywhere in the room, including overhead. 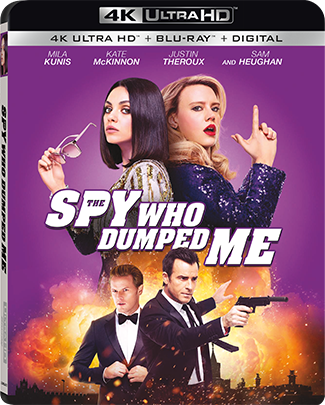 The Spy Who Dumped Me will be available on 4K Ultra HD Combo Pack, Blu-ray Combo Pack, and DVD.